Friday Five: It’s All About Love! January 25, 2013 August 12, 2014 Categories Friday Five, PMHQbananniekins, business insider, cnbc, fashion, Friday, Friday Five, Hot Off the Press, iphone, Posh Party, Seattle, shopping, stylecaster, TGIFLeave a Comment on Friday Five: It’s All About Love! 1. Hello, CNBC! We are definitely feeling the love this week from the press. 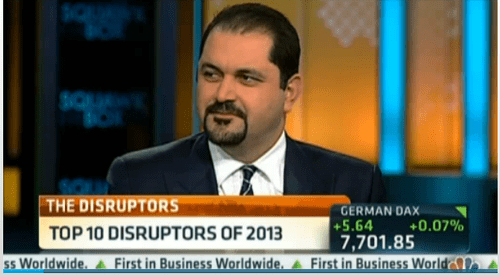 To kick things off, we were featured on a CNBC segment as one of the “Top Ten Disruptors of 2013!” We couldn’t think of a better name to be called on national television and are so honored to be named among the likes of Pinterest, Uber, Fab.com, and Warby Parker. 2. Changing the world, one closet at a time. Business Insider included us in their “10 Apps That Changed How We Think About Shopping” article, next to some of our personal favorites including Starbucks and Target! Best of all? Our amazing Poshmarker, bananniekins, is the cover girl for the entire article! How cute is she?! 3. 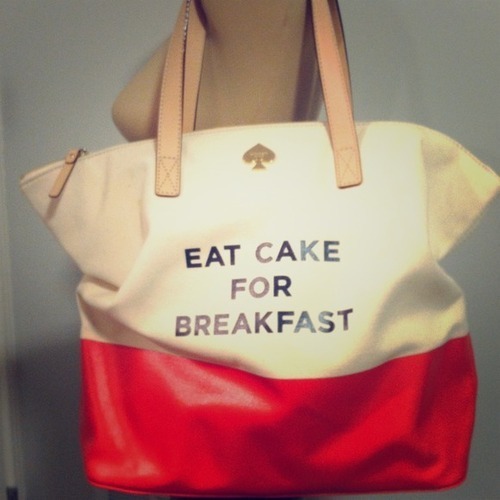 We Heart StyleCaster. Not only do we love interacting with our NYC-based friends at StyleCaster every week during their Twitter #StyleChat, but we’re so thankful that they included us as one of their top 50 fashion apps. Check out the article here! 4. Posh Party record breaker! 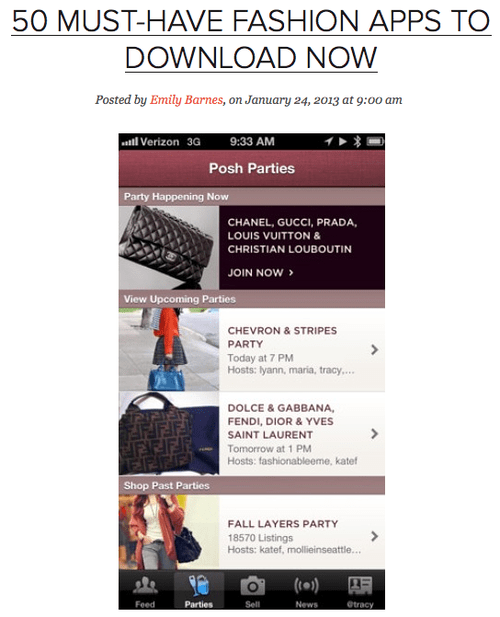 It seems like just yesterday when our community shared a couple of thousand listings to our Posh Parties. Well, those few thousands have now turned into nearly 85,000 listings! Yep—you read that right! Last night’s “Pretty & Fun” party was definitely a hit. Shop the party and our hosts’ picks here! 5. Seattle, here we come! Less than one week until our Seattle Posh Party is here and we couldn’t be any more excited! 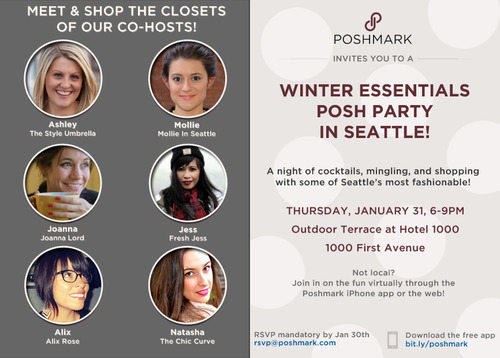 This will mark Poshmark’s first time in Seattle, so we can’t wait to meet, mingle, and sip with the city’s most fashionable. Are you in the area next Thursday, 1/31? Join us! Check out party details here!